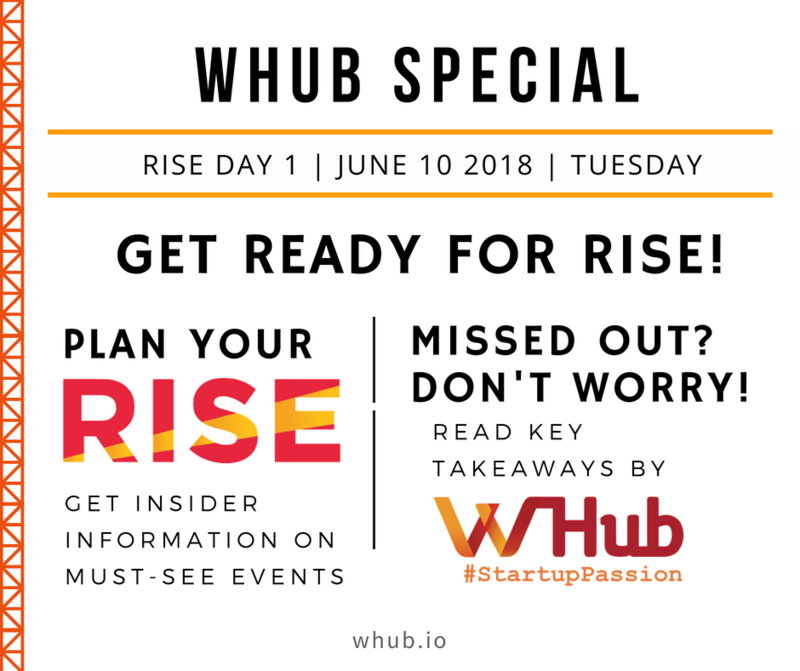 There are so many impressive talks at RISE Conference, the largest tech conference! It might get a little overwhelming to research on which are the best conferences and to organize your itinerary. Co-founder Tan Hooi Ling will be speaking about Toyota’s $1 billion investment in Grab. Press conference will take place afterwards. A keynote discussion with Werner Vogels of Amazon. In the past you could have a three-month development cycle, then have a review by security team engineers, Werner Vogels discuesses how this is now our responsibility. Can computers be more creative and artistic than humans? A lively debate between award-winning artist and designer, Yiying Lu, and Yali Saar of Tailor Brand. Tailor Brand is a platform that uses a machine learning algorithm to create a creative & unique logo along with brand identities. 12.40 – 13.05 – Center Stage – Can Politics lead on Innovation? A conversation with Carrie Lam, Chief Executive of Hong Kong and Bernie Lo of CNBC. Discussing what role politics can play in creating a more innovative and technologically advanced society. A keynote with Sophia the Robot supported by David Hanson and Ben Goertzel of Hanson Robotics. The robot will be the star of the show. Can robots be more creative than humans? A conversation with Mike Massimino of Columbia University and Fomer NBA player and American Professional Basketball Coach, Metta World Peace. Discussing how athletes can strengthen their brand once the playing days are over. 1. The most important things investors look for are the personal relationships and chemistry. The focus should be 90% on the team, and 10% on the projects, especially for early-stage startups. Make sure you sound genuine - talk about your history of both failures and successes, show your emotions and your passion, let investors know what you've been through and why they can trust you. 2. "Pitching is not a skill, it's an art." When you're pitching, communicate well with the investor. It's not about the buzzwords - blockchain, AI, machine learning... Let the investors know what your product actually is. Be concise: practice explaining your business in 30 seconds and be direct with what you'd like to ask from the investors - they'd want to know as well. At the end of your pitch, you can ask your investor "what do you think I do?" to truly understand how much the investor understood your pitch, and then to fill in the gaps if necessary. 3. Investors don't like investing in sole-founder businesses, try to get yourself a co-founder. It becomes more of an investment on the temperament and fortune of a person, and it looks better to have a team.